When you’re trying to fit more than one child in a room, it sometimes feels like you have to sacrifice style to utility. But we’re seeing more and more bunk beds come onto the market which show that that doesn’t need to be the case. Come and see our latest find. New York-based Casa Kids is a design company that knows about using space well. New Yorkers are renowned for living in small spaces, and it’s companies like Casa Kids that make it possible to do that well, even with a family. We’ve mentioned them before for their loft beds, for their convertible cots and for their previous bunk beds and it’s exciting to see their brand new Cabin Bunk Bed. The Cabin bunk shares a design aesthetic with their previous offerings – it has a modern, clean look, and a compact footprint too. 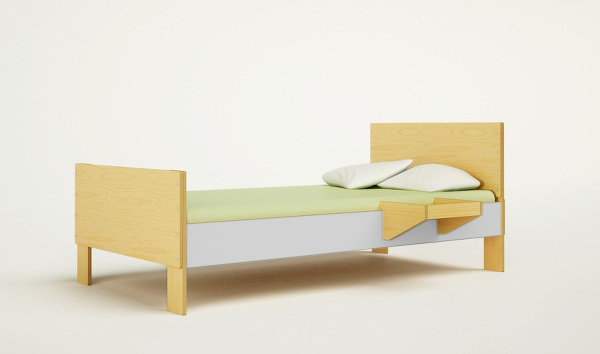 Even better, just like some of their other products, it’s convertible, easily separating into two identical single beds. When assembled as a bunk bed, it’s the delightful cosiness of the bottom bunk which has inspired the “Cabin” name. 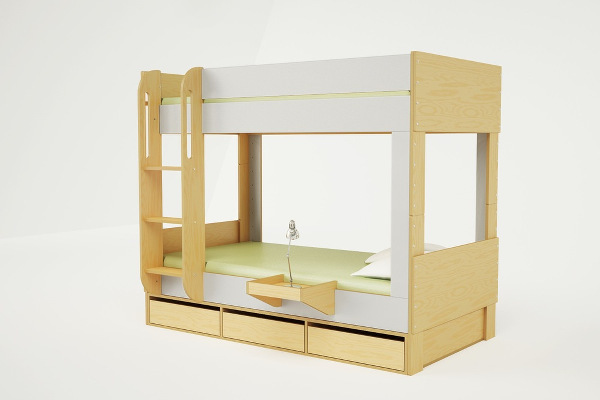 The Cabin Bunk is available in two finishes and arrives flat packed – it can be easily assembled at home. I particularly love its built in side table, which provides a convenient spot for a night light and drink or book, without the need for another piece of furniture. You can even buy trundle drawers to fit underneath. 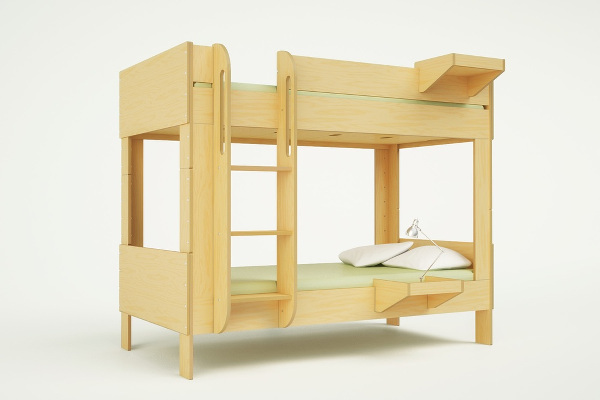 The Cabin bunk bed is available from Casa Kids for US$1500. Currently they don’t ship outside the continental US, so you’ll need a freight forwarder or a good friend for this one.